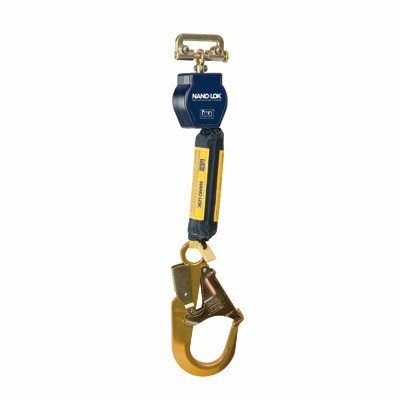 Replace your lanyard to reduce fall distance and improve your safety program with the Nano-Lok Self Retracting Lifeline. Nano-Lok is ergonomically designed for ease-of-use and is ideal for direct connection to most harnesses. The unique single-leg SRL quick connector design leaves the dorsal D-ring available for other uses and provides a snug fit - it's virtually unnoticeable on your back! If you have any questions about this product by DBI-Sala, contact us by completing and submitting the form below. If you are looking for a specif part number, please include it with your message.